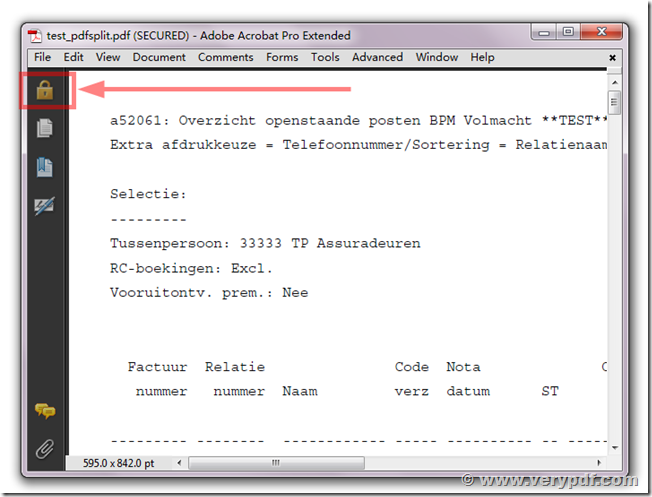 Hereby I sent you more information on the ticket with number. 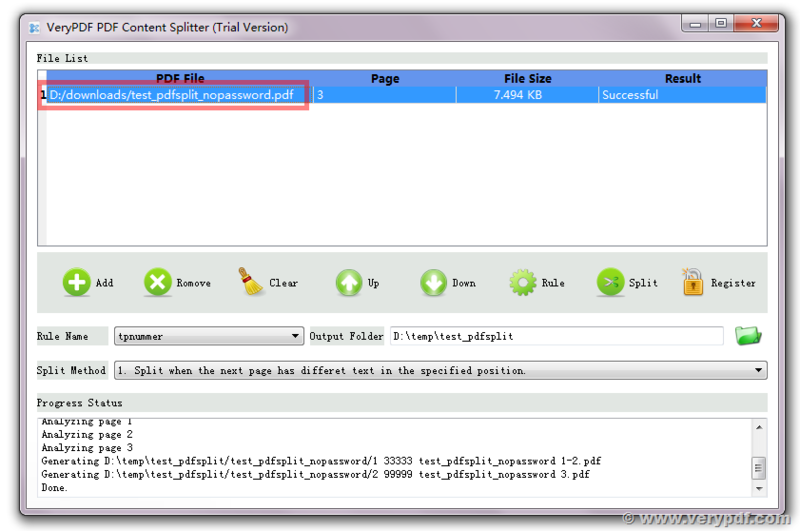 To give you this information I had to install the software again, as I mentioned in the ticket that I already uninstalled it. 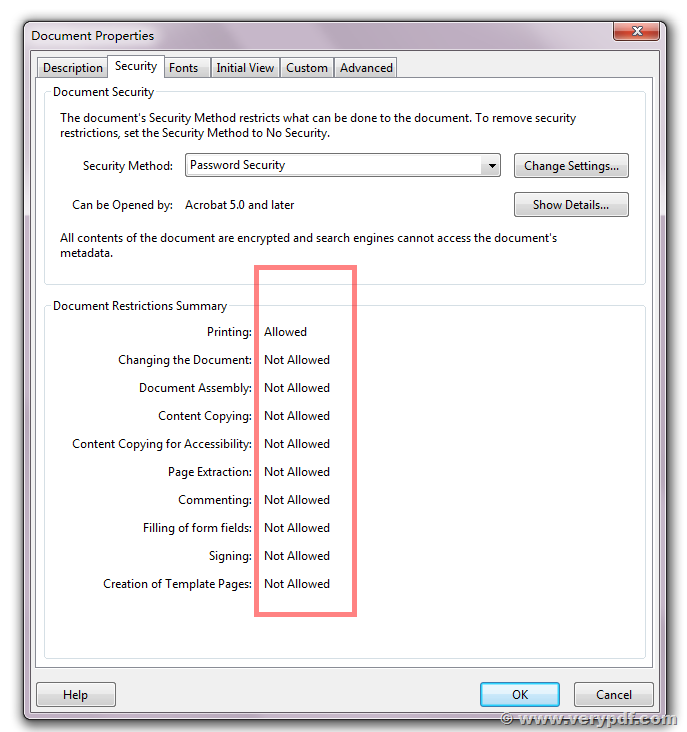 The PDF is generated by an application and can always be opened with Adobe Reader. I made a rule “tpnummer” on that very location. It must result in pdf files grouped per number, that can be sometimes 1 page and for other numbers it can be more than 1 page per file. Then I’ll return to the main screen and mouse click on split. Some more rows in the status. The progress status tells me it’s finished / the result tells me: “Failed”. 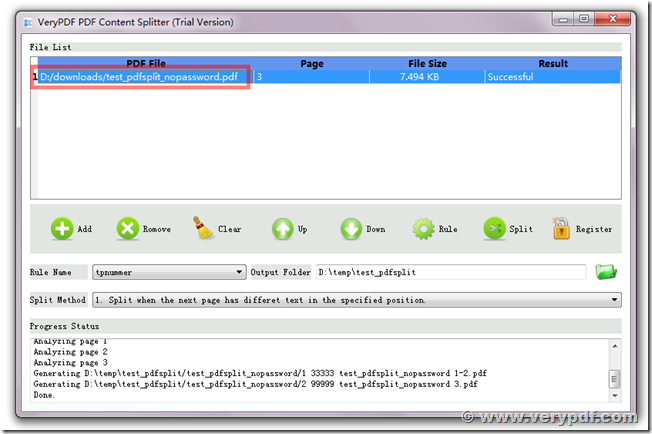 There are no splitted files in the output dir. I’ ve tested it with output dir’s without spaces in it’s name. 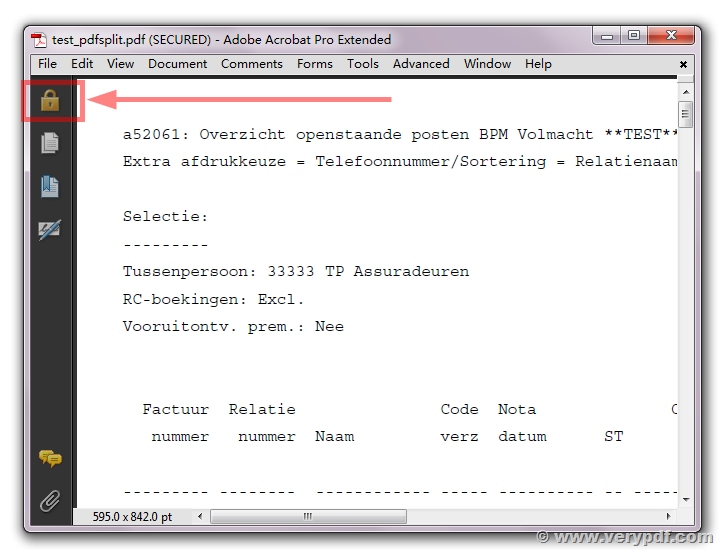 I’ve also tested it with a unlocked PDF. In both cases, no successful results. Can you give me information on what is going wrong. 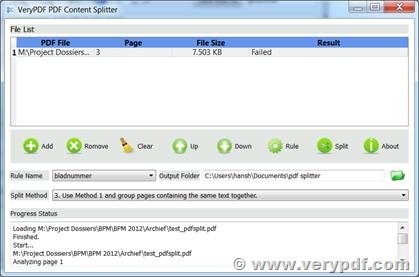 VeryPDF PDF Content Splitter is not support encrypted PDF file at the moment, you should better use VeryPDF PDF Password Remover to remove the security settings from this PDF file first, then you can use VeryPDF PDF Content Splitter to split decrypted PDF file without any problem. 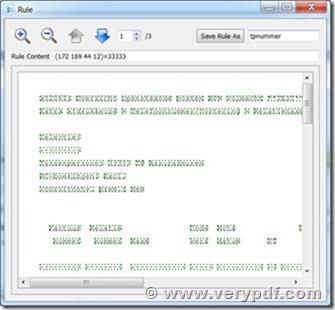 I will need the software to find the specific text and start the split until the next time the software finds the same text. 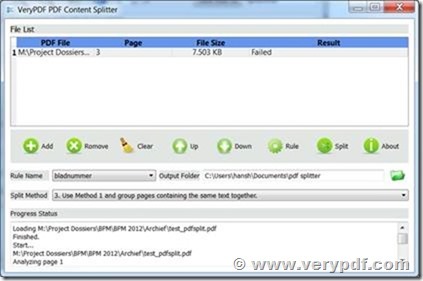 This entry was posted in PDF Password Remover, PDF Split-Merge and tagged pdf content splitter, split PDF, split pdf content. Bookmark the permalink.